The DEM features a 4.8V long-life, maintenance-free, rechargeable NiCd battery. An internal solid-state transfer switch automatically connects the internal battery to LED board and LED lamp heads for minimum 90-minute emergency illumination. 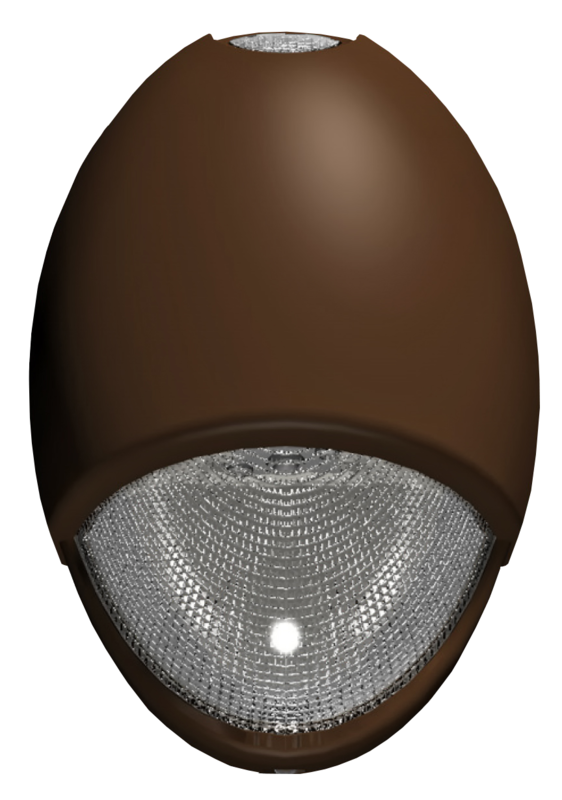 The DEM features 2 LEDs per head (6 watts total per unit). A fully automated solid-state, two-rate charger initiates battery charging to recharge a discharged battery in 24 hours. The housing features die cast aluminum construction, sealed and gasketed, with a durable powder coat finish. It has a prismatic polycarbonate refractor.